Hello everyone! My name is Dallas Peeling. I am from Vancouver, Canada and I have been working at SES since October 2017. 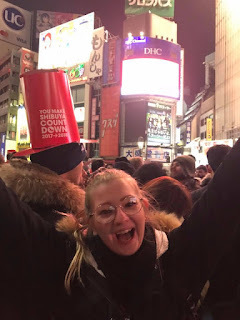 I chose to come to here because Japan has a really good reputation as a great place to teach English. I love how my classes are so different, with a big variety. From teaching children, teenagers, adults, and senior citizens from all English levels, it is a fun and enjoyable challenge for me. I am really enjoying Japan so far! I think the Japanese people are very polite and respectful, and it is a very beautiful and safe country. I enjoy travelling and practicing photography, so Japan is a perfect place for both activities! I will share some of my photos below. In October, I went to Shimonoseki and Tsunoshima with my colleagues. We enjoyed lots of fresh sushi at the Tsunoshima fish market, and driving around the picturesque Yamaguchi Prefecture. November was busy. I went to the Iwami Ginzan Silver Mine in Oda, and the very impressive Izumo-taisha shrine. I visited Miyajima Island with my colleagues, and I revisited when my friend from California came to stay with me. While my friend from California was visiting, we went to Kyoto, Hiroshima and Tokyo. The fall leaves were turning many different colours, and they looked very beautiful. We did a lot of sight-seeing, and enjoyed sampling much Japanese cuisine. In December, I went to Kitakyushu with some colleagues. It was very cold and windy, but we enjoyed some hot matcha tea to warm us up! For the Christmas holidays, I returned to Canada to celebrate with my family and friends. Last year I was working in Tanzania, East Africa, so I was not home for the Christmas holidays. It was nice to spend time with them. 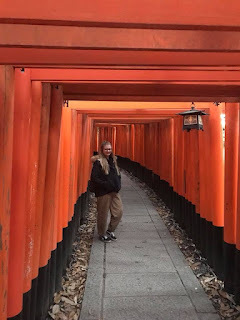 When I returned to Japan in January, I spent some time touring around Tokyo, Osaka, Nara and Iwakuni. 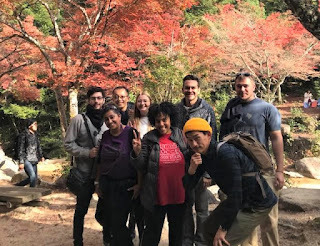 It has been a very busy month for sure, but I have really enjoyed seeing the many beautiful sites, trying new food, and learning about Japanese culture. Tokyo Tower stands out against the skyline. I hope you all had a wonderful and exciting break whether it was seeing family, catching up with friends or enjoying some peace and quiet. 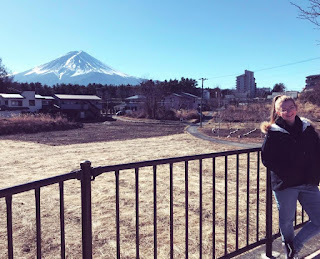 For me, I chose to do a 10 day round trip of Japan with my good friend and fellow SES teacher, Taz! 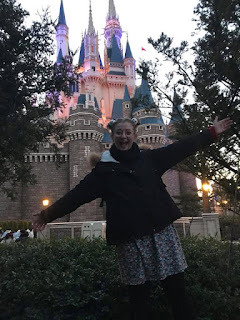 We managed to visit 6 prefectures (one by accident), see USJ, Disney Land, Disney Sea, visit Temples, Shrines, shop, eat, be tourists, get lost and most important of all, have fun! I will try and make this blog as short as possible so here are a few photo highlights from the trip. Enjoy. Our first stop was Osaka and we simply could not resist visiting the famous Universal Studios Japan. 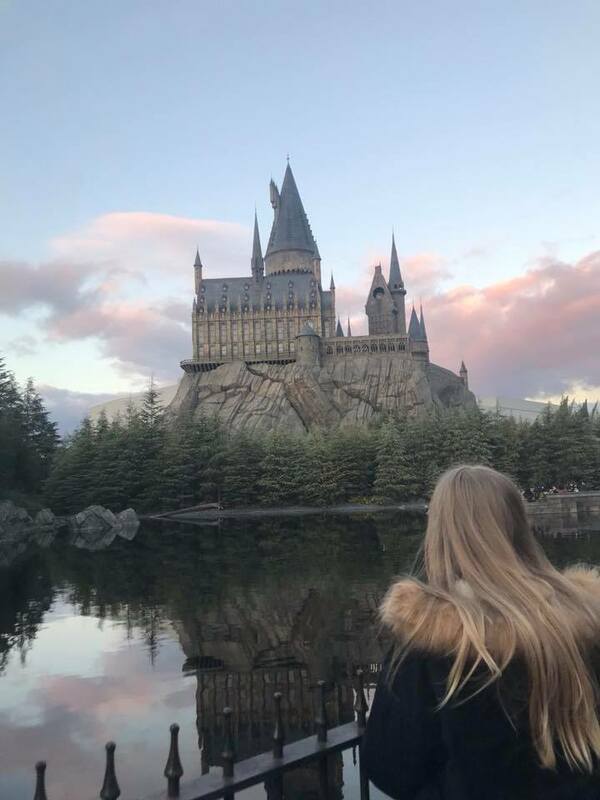 As a major Harry Potter fan I was like a child at Christmas (literally) and when we were walking around the place I could do nothing but smile. I had so much fun here and I definitely recommend that you visit if you haven't already. And don't forget to take a ride on the Flying Dinosaur! When we told people we were going to do Kyoto in a day they all laughed. But as 5am came we embraced the journey from Osaka and our first stop had to be Fushimi Inari! It felt great beating the tourists and we got to take loads of cool pictures. If you want to come here, I would recommend coming early in the morning or late at night, by the time we left at 9am the place was already starting to become crowded. 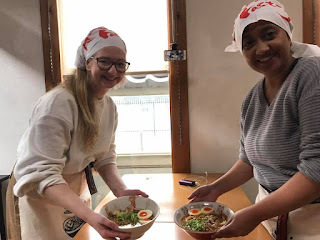 December 26th - Made our very own ramen! Here is Taz and myself making our very own ramen (from scratch). We booked this place just before we went and it was such a fun experience and the food was delicious! The shop is called Ramen Factory Kyoto and I definitely recommend that you come here. The staff were great and the shop also does Halal meat (a rare find in Shunan!) so it gets double the bonus points for that. 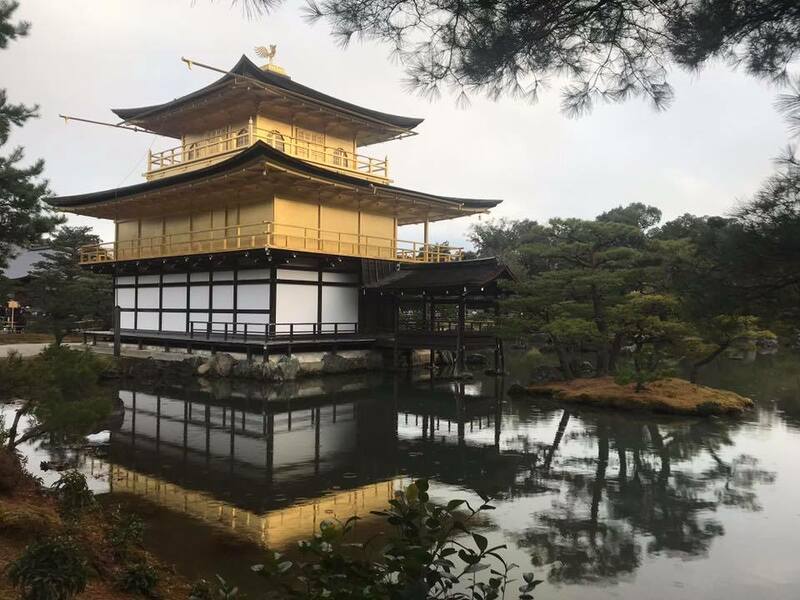 December 26th - saw the Kinkaku-ji! Still on our Kyoto adventures we felt that we could not miss Kinkaku-ji! Although there were lots of tourists here the place wasn't too crowded and we managed to take several amazing pictures like the one above. The temple is breathtaking and definitely worth checking out when in Kyoto! December 29th - Disney Land day! 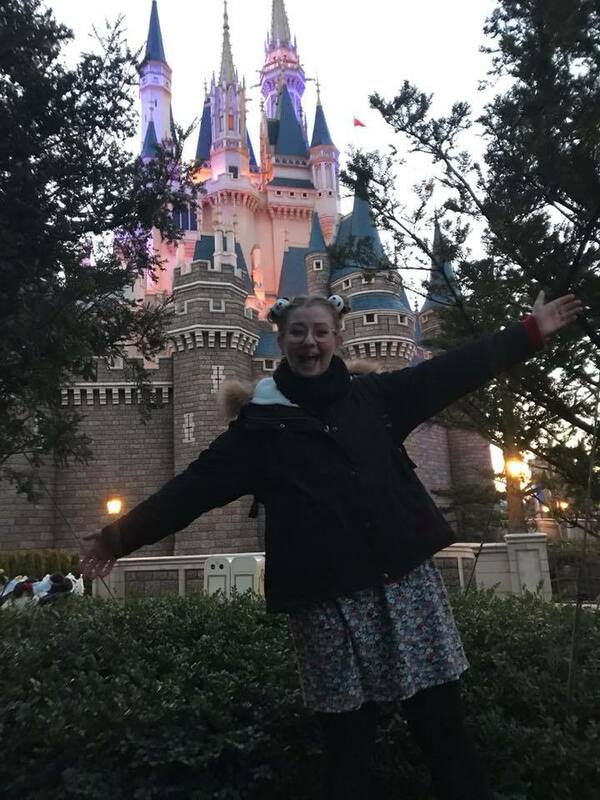 As we made our way North of Japan to Chiba we decided to embrace the winter coldness and visit both Disney land and Disney sea. Both were incredible and I was far too excited by all the magic and detail in both parks. Although I do prefer Disney Sea, Disney land was also so much fun and it was my first time ever at a Disney park which made the experiences extra special. 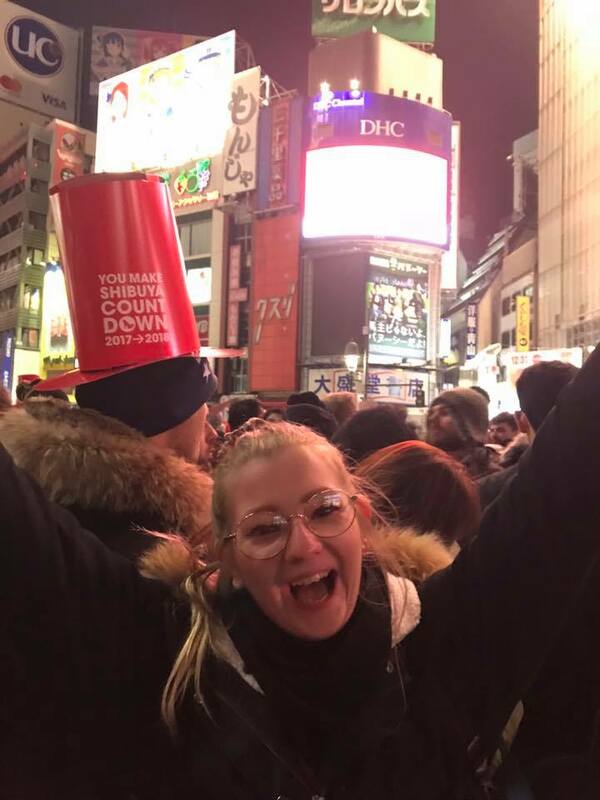 Here am I in Shibuya crossing at New Years. The atmosphere here was amazing and so much fun, and I enjoyed celebrating the new year here because everyone was so happy! After the countdown we went and sang karaoke (very badly) and danced our way into 2018. 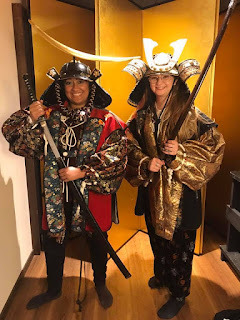 After having a much needed sleep we woke up and headed straight to the Samurai museum in Tokyo. We did a guided English tour which took maybe 1 hour 30 minutes to complete but it was so worth it. Not only is the museum fascinating and the tour staff informative and funny, but the tour is very interactive and we got to dress up like Samurai at the end. January 2nd - Saw Mt. Fuji, our last stop before home! 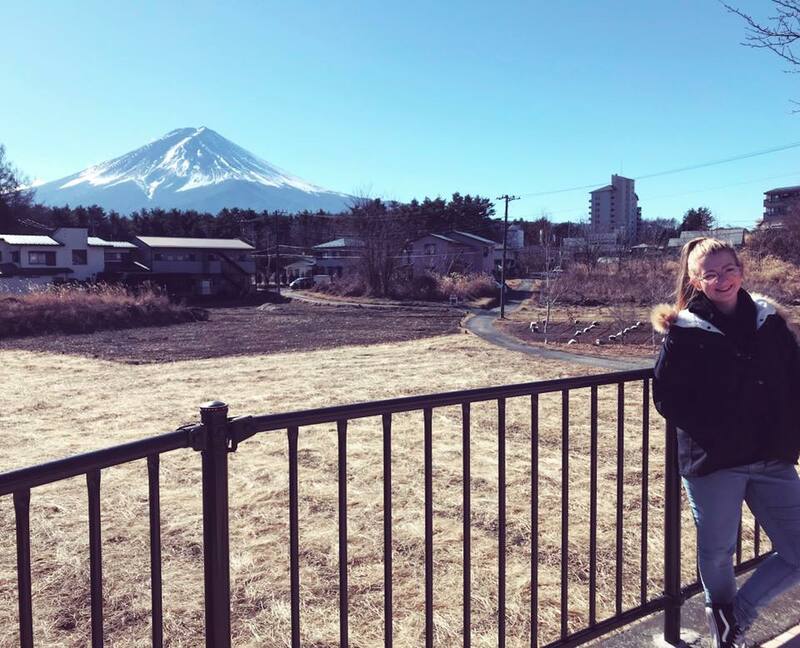 Our last stop before our flight back to reality was to visit Mt Fuji. And before you ask, no we didn't climb it! However, it was breathtaking to see and no photos do the mountain justice. Hopefully one day I will have climbed Mt. Fuji but for now, seeing it in real life was good enough for me. And there you are! They were my ten days travelling Japan. I am hoping to do lots more travelling in the future as I want to tick off every prefecture in Japan. So far I have visited 10/47 prefectures in 2 months, so I think I'm doing a pretty good job! Thanks and once again Happy New year!